Thoroughly pampered. 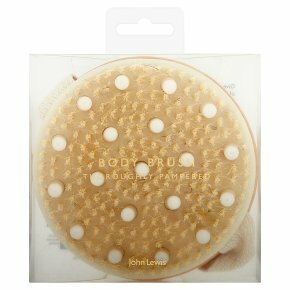 Give your body an invigorating massage, help reduce the appearance of cellulite and promote healthy glowing skin through dry brushing. Made with boar bristles and massaging nodules, our handheld wooden brush sweeps away dry, dead skin. Use prior to showering, and brush in short motions towards the heart to help improve the skin's texture and softness.